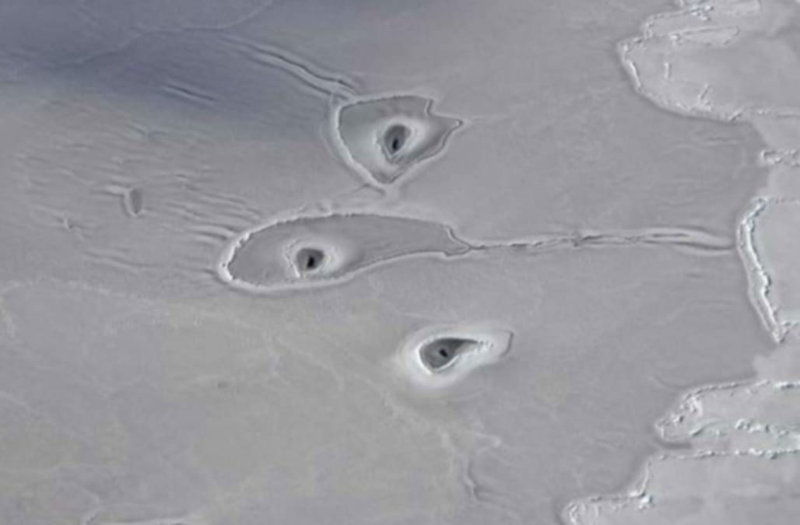 NASA recently shared an image of a snowy, icy expanse dotted by odd roundish features and challenged the public to figure out what it is. While it has since been revealed that the photo, taken on April 14 as part of NASA’s Operation IceBridge airborne mission, shows the eastern Arctic Ocean’s Beaufort Sea, the apparent holes remain a mystery. 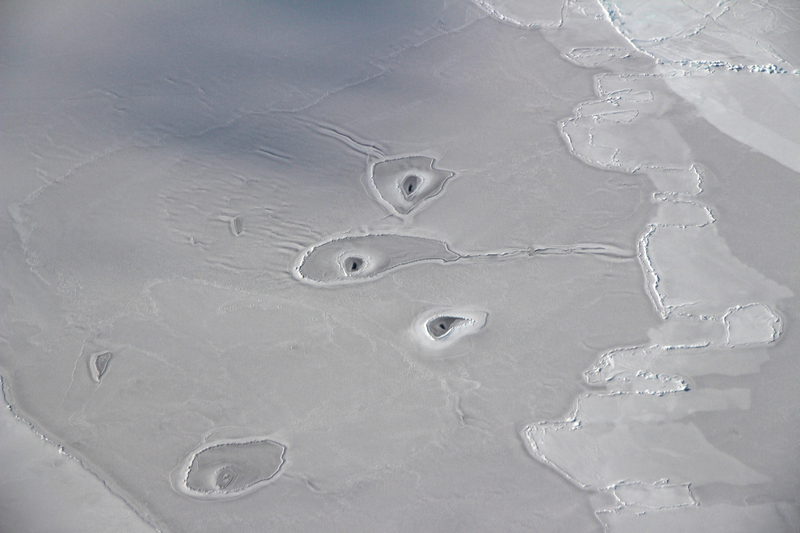 Don Perovich, a sea ice geophysicist from Dartmouth College, noted that the “ice is likely thin, soft, and mushy and somewhat pliable,” and suggests that the “amoeba” shapes could be a result of colliding floes. “Or it could be a sort of drainage feature that results from when the hole is made in the ice,” Meier further said. Making a determination on the strange formations’ origins will require additional research.